Florida law treats drug crimes quite seriously, with many offenders facing harsh consequences even after just the first conviction. There are many legal consequences a drug conviction can bring. Once charged, you could face not only possible criminal penalties, such as jail time or fines, but also future negative impacts on your employment and educational opportunities. If you have been charged with a drug crime, no matter how small it may seem, it is important to consult with an experienced Tallahassee drug crime attorney right away. Every drug case can be aggressively prosecuted, and you will need a skilled attorney to protect your rights. Sale or delivery/dealing: possession of an illegal drug with the intent to sell, deliver, or otherwise distribute the substance. Each crime has unique elements as defined by the law. It is the prosecutor’s responsibility to prove each element of the crime. 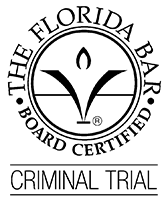 For example, if a defendant is charged with drug trafficking of cocaine, the prosecutor has a burden to prove that the defendant (1) intentionally sold, manufactured, or distributed (2) a specified amount of cocaine (28 grams or more) (3) into Florida. If the prosecution fails to meet that burden, the defendant will not be convicted of that specific charge. Contact our Tallahassee drug crimes attorney for more information on a specific case. Florida, like many states, has mandatory minimum sentences for some drug crimes. The purpose of mandatory minimum sentencing laws is to discourage serious crimes, such as drug trafficking. These laws require that upon conviction of certain crimes, a defendant will be sentenced to a minimum amount of time in prison. The exact minimum prison term depends on the type and amount of the illegal substance allegedly involved. State law has created many mandatory minimums for drug trafficking convictions. Mandatory minimums may be imposed upon conviction for some other crimes as well. The exact penalty you may face depends on your specific charges, and any previous drug convictions you may have. Were you or loved one recently charged with drug crime in Florida? If so, contact the experienced criminal defense attorneys at Zelman Law. We fully understand what is at stake when a client has been charged with a drug crime. Our practiced attorneys will aggressively defend you against drug charges, and are not afraid to go to trial if necessary. Contact our office today and schedule your consultation. During that meeting, our Tallahassee drug crimes attorneys will explain how state drug laws apply to your case. Call us or contact us online now.